There are no yurts companies in Costa Rica. While you have reasons regarding your choice of abode, I would highly recommend against this due to the near impossible way to secure your items or your yurt when you are not present in it. Thank you for your reply. You make a good point. 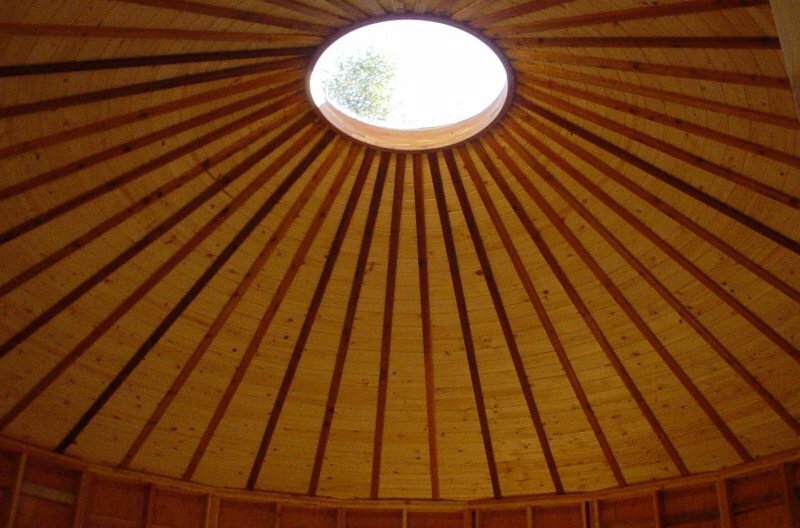 I just like the openness of the yurt design and the beautiful ceiling that it creates. The ceilings truly are lovely. They also stay quite cool naturally as you can vent heat through the top (lockable) skylight. 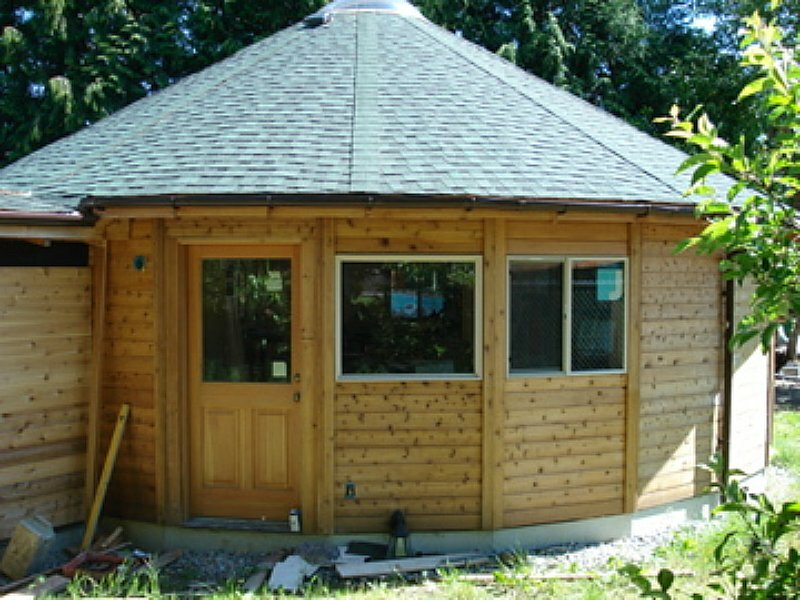 My other reason for wanting a yurt design although this one is built like a regular house with wood, is that I have multiple sclerosis and although I am not in a wheelchair yet, there may come a day when I am. I do own one and have already had to use it occasionally when the MS is bad. I also have a walker I sometimes need to use. That open design makes it much easier and more comfortable to get around in than a traditional house. I have a traditional house now that was built to be handicapped accessible and even in my handicapped-friendly house, on walker/wheelchair days it's annoying to navigate. 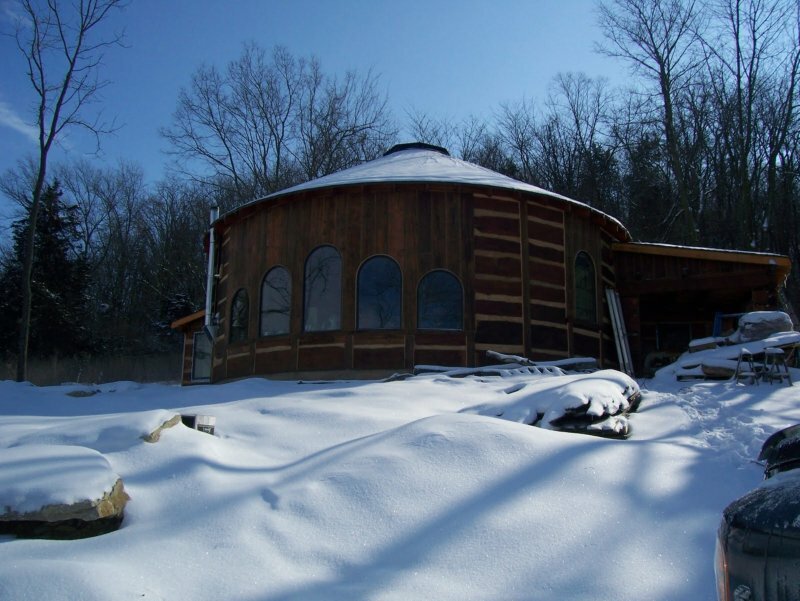 I did look into the yurts before moving here, and agree they are nice, but..and a very big but... they could easily overheat, unless you have a large overhang and that will defeat your objective. Possibly not in San Ramon, where it tends to be quite damp as they experience lots of fog. And whether they would stand the heavy rain, would be another concern. And in regards to the big dogs providing security, we have been robbed three times and have had three dogs poisoned/killed during one of them. Rather than try to force a design like a yurt on a geography and climate that it wasn't meant for, why not concentrate on designing a house that will not only fit into the landscape and climate but fit your needs and at a much lower cost than something that is unusual in Costa Rica? I once lived in an "open" house that I built. It was about 45 square meters and completely open except for the bathroom which had a door and was more or less built onto the house. Besides the bathroom door, there was the front door and the back door. Built with the climate and weather in mind, it had a large overhang (to keep rain and sun off the side of the house) and a high ceiling (to help with hot days) and good cross-ventilation (helped keep the air moving and reduce the amount of mildew inside the house.) It had a large front porch and a large back porch, which - if I were doing it again, I would extend all the way around the house since in Costa Rica, you tend to spend a lot of time outside. Eleano has this right. "when in Rome, build what the Romans build." Yes, you can have open concept, one floor living using the accepted local construction style. If you try to build something the locals are not familiar with you will have a large number of opportunities for things to go wrong as the local builders will not have the needed experience. Tied to this is the social practice of saying "yes" to your request and questions when they don't understand/agree. They will then proceed to do things as they see fit. Also, from past experience, I have learned NOT to build something that will limit your resale opportunities. The day will come when you living requirements change and you will GREATLY limit your potential buyers pool if you build any type of non standard construction. It is already quite hard to sell property here, Don't compound this problem. Also, you should include a nice porch in your design as the locals do. Good luck! I agree with the posters above on having something locally designed & built. For ex, my B-N-Law lives in a very nice, open floor-plan house with a pyramid shaped roof. Only the beedrooms on either side of the main living area are enclosed. The kitchen, living areas are all one. It also has doors on all 4 sides that open and let air draft through, thus no need for air conditioning. 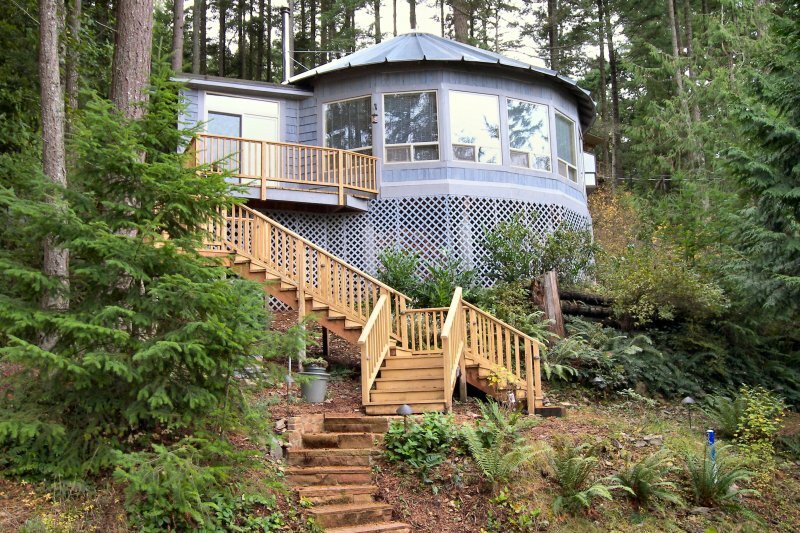 I also understand how you might have fallen in love with the Yurt concept. I just don't think its that practical here. There is a reason all the houses have tin roofs, and you will find out during the rainy season. p.s. And as Newman has pointed out, there are the earthquakes. There is a reason all the houses have tin roofs, and you will find out during the rainy season. You could check with Charles Zeller, Shipcostarica 506 2258-8747 regarding your questions. By the time you incorporate the shipping, construction, duties, plus the original cost, you could have a very nice 'open concept home' built. Is the space in the walls for wiring? A really good point was made by jjlen53 "The day will come when you living requirements change and you will GREATLY limit your potential buyers pool if you build any type of non standard construction. It is already quite hard to sell property here, Don't compound this problem".